Meandering through the lanes of Bandra brought us to Lizzie, a hidden gem- a heaven for shopaholics! 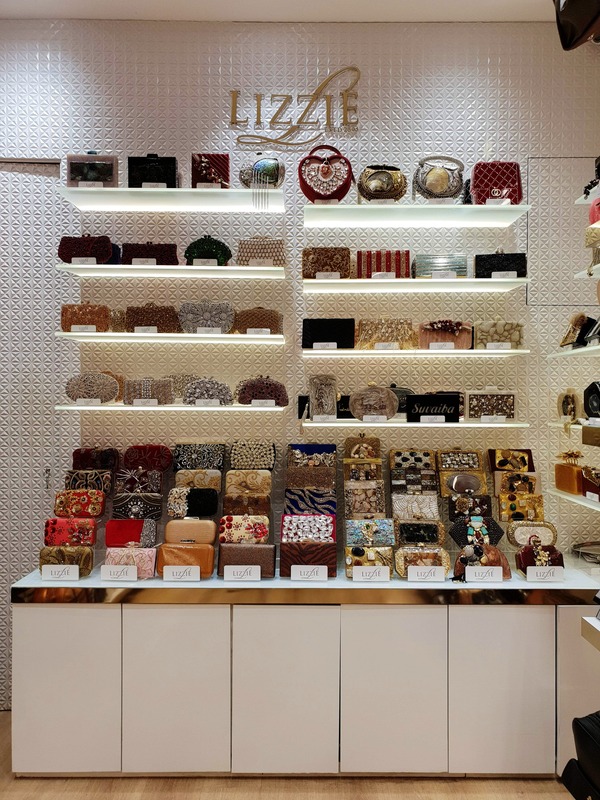 Lizzie Bags, a tiny store located on Waterfield Road (you will miss it if you don't keep an eye out), is a one-year old store that sells backpacks, purses, wallets, duffle bags, gym bags, clutches and more- you imagine it, they have it. Every category has multiple options for various budgets, so just tell them your budget and get ready to get your mind blown. They specialize in a variety of clutches- be it for everyday use, or for special occaissions like parties or weddings. We also found marble and LED clutches (yes, they'll light up your world too). Clutches are priced between INR 1,000 and INR 8,000. The best part about these clutches is that they are gift worthy too. They sell customizable luggage tags (own a Bagwati?) and passport covers too (for the travel junkie in you). They usually have attractive offers going on (we bought two really cool bags for the price of one), so check with the staff before making your purchase. You can even customize the clutches- get your friend's or partner's name engraved for a nominal cost and make sure that this gift is etched in their memory for a long time!